According to the results of the Global Forest Resources Assessment 2010 by the UN, the most comprehensive assessment to date, the world’s forests account for just over 4 billion hectares or 31% of total area of emerged land. The five countries representing over half of the global forest area are Russia, Brazil, Canada, the United States of America and China. The rate of deforestation and loss of global forests remains alarming despite being decreased from 16 million ha per year in the 90’s to 13 million ha from 2000 to 2010. The forest absorbs one third of global CO2 emissions from fossil fuels into the atmosphere, according to an international study that alert, in parallel, on the tragic consequences of deforestation in the context of global warming. What does deforestation mean? It is defined as, “the destruction of forests by cutting down or burning trees to create agricultural or urban spaces, or to use the wood for heating or construction”. The consequences are the disappearance of ecosystems, erosion of grounds and climate change. The main reason is the predicted tripling of oil palm plantations by that date. Having deforested, sacrificed their forests, Malaysia is experiencing its 4th generation of palm trees and has exported its “know-how” to Indonesia. A palm tree begins to produce oil at about 4 years and is productive for 20 years. The addition of fertilizer will allow it to pursue its production for another twenty years. Besides the artificial fertilizers, the problem connected to this monoculture is the impoverishment and pollution of soils and waters generated by the decomposition of the colossal organic mass of these plantations. Big Malaysian, Indonesian and Sri Lankan consortiums produce 85 % of the palm oil consumed in the world (38 million tons in 2006 against 21 millions in 2000) and sell it to international groups such as Unilever that produce a range of products from physical care to food and maintenance. 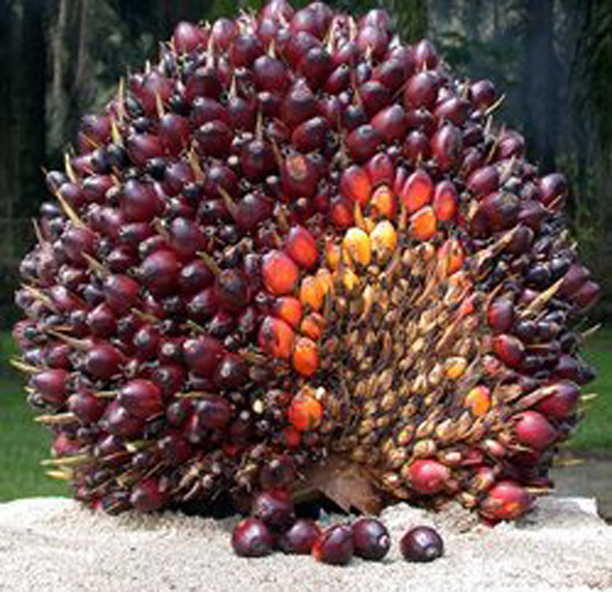 The only reason of this craze for the palm oil is its moderate production cost, which is not echoed, of course, on the consumers, but allows a higher profit margin. As of now, there is no label “certified organic production” for palm oil. The only valid label this day is the clear label “WITHOUT palm oil” indicated on certain products (some Jacquet’s breads). Be vigilant: “vegetable oil” means usually palm oil: olive or colza oil would clearly be indicated. The Organic or vegan labels can contain palm oil. Anyway, the suggested approach of rich countries that want to export their know-how is about how to manage durable forestry. But at a closer look, the exploitation of the Southeast forest resources is increased because of the needs for wood in construction and paper for the North. Are we just trying to make ourselves feel better or is this the only opportunity not to destroy everything? 16 % of the Amazonian forest has been converted into soy culture. According to studies made by Lester Brown  in 2005, out of 220 million tons of soy produced all over the world, 15 million tons are consumed “directly” by human beings (tofu, soy milk, yoghurts, candles, cosmetics), 144 million tons to feed livestock, in particular dairy cows, pigs and poultry: soy oil cake is very rich in proteins (In France, soy represents 70 % of the consummate oil cakes ). This culture is rapidly growing because it favors a fast and low cost growth in animals. The top 2 producing and exporting countries are Brazil and Argentina. This is without even mentioning the problem of OGM soya… Still 33 million tons are produced for soy oil among which 7% are used for agro-fuel. The environmental and human cost is very heavy: in South America, in 100 years, more than 90 tribes dependent on the forest disappeared with their language, knowledge and culture. Brazil concentrates 13 % of the world forest surface, with the vastest portion of rain forest. In the South American region, Brazil, then Peru, Colombia, Bolivia and Venezuela represent 84 % of the regional forest surface. In 2011, according to the Brazilian institute of space researches (INPE, according to the Portuguese acronym), the deforestation would tend to slow down in Brazil, at least, on the short term. In July, indicates the INPE, the Brazilian forest moved back of 224,94 square kilometres. Certainly, it represents the equivalent of the surface of Marseille, but this surface is 53,6 % less important than that deforested in July, 2010, underline the Brazilian authorities. This good news must be nevertheless put in perspective over time. Between August 2010 and July 2011, the Amazonian forest lost, effectively, 2.654 km2, a figure in increase of 15,6 % in one year. The deforestation of the Amazonian forest is followed by the system Deter (detection of the real time deforestation) by the INPE. This device uses the images of NASA monitoring satellites, which glance through the Amazonia daily. Their resolution is 250 meters. These satellites are capable of detecting zones of deforestation of more than 25 hectares. This system is so used to indicate where and when the forest was cut. 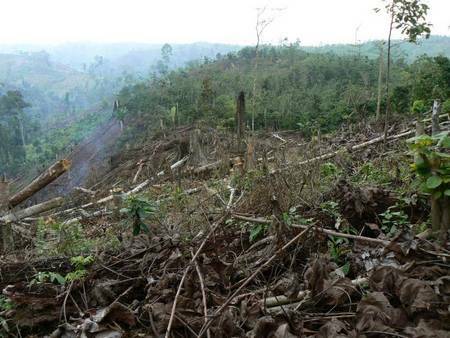 It remains to know who has ordered the cutting, what is probably not the most difficult, but still is needed a political choice to act against deforestation. 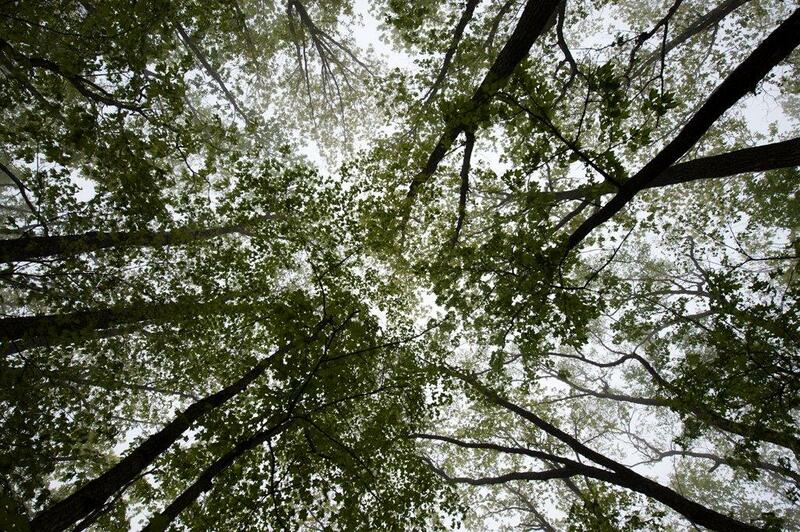 In 15 years, between 1995 and 2005, the Earth has lost 3 % of its forest surface. The primary forests  - among which more than 2/3 are in Brazil (Amazonia), the Democratic Republic of Congo and Indonesia - play nevertheless an essential role on the climate and counter greenhouse gases. The forest absorbs the light, where the naked ground sends back the energy of the sun towards the atmosphere. The average local ambient temperature can increase 10°C after deforestation takes place in a tropical zone. This local reheating modifies the atmospheric pressure, which influences the movement of air masses and causes the storms to occur. The pluviometric cycles are modified at a world level, provoking droughts and abnormal floods. Forests are not only very important reservoirs of carbon but they absorb also very actively the CO2 produced by the human activities, also forests take more and more the front of the scene in a strategy to protect our climate. Furthermore, savings were made possible by a better management of the forest, by exploiting in particular the profits of the reduction of the deforestation what will be more important than of what we thought. The boss of Global Carbon Project underlines in particular the financial aspect within the framework of the market of the carbon and the compensations planned in the mechanism REDD + (Reduction of emissions due to the deforestation and to the degradation of forests). This mechanism was formally adopted during the conference of the UNO on the climate in Cancun (Mexico) at the end of 2010. It aims at bringing countries having rain forests to avoid cutting them or to manage them in a long-lasting way, by paying them financial compensations. In concrete terms, we are not suggesting giving up in despair, but becoming aware of what we are consuming and perhaps reducing our consumption of products containing palm or soy oil. And even more importantly, talking about these problems around us: this way more consumers will become conscious of the situation. When consumers gain awareness, companies will take into account their points of view and governments will be pressured to take a position. “When you believe in something you can”. Lester Russel Brown (born in 1934) is an American agro-economist and environmental analyst. Pioneer in research on sustainable development, he was one of the first – and most prolific - to write about problems linked to ecology. Oil cakes: The solid residue that is left after certain oily seeds, such as cottonseed and linseed, that have been pressed free of their oil. It is ground and used as cattle feed or fertilizer.